Wearing protective gloves for extended periods of time tends to have a range of negative effects on your hands, ranging from general fatigue to various skin problems. 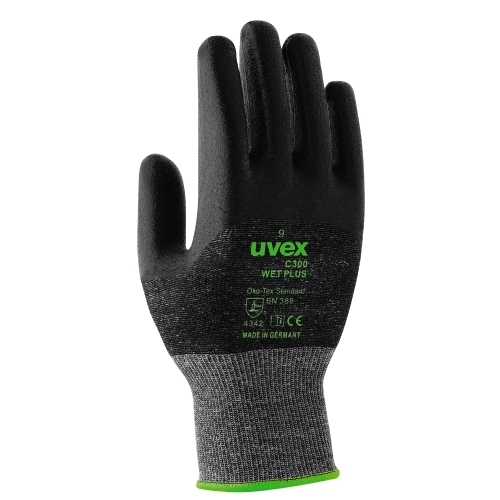 The Uvex C300 Wet Plus Cut-Resistant Gloves have been crafted with Uvex Climazone technology that allows maximum breathability, while the high-performance elastomer ensures outstanding grip even in wet and oily conditions. 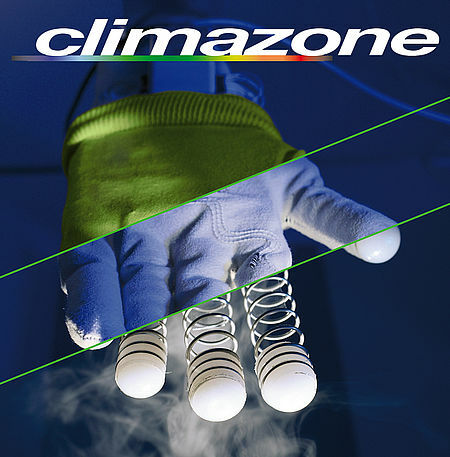 The C300 Wet Plus Cut-Resistant Gloves are built using Bamboo TwinFlex technology. The unique combination of bamboo and high-performance protective fibres ensures the highest levels of comfort, ventilation and protection. The Uvex C300 Wet Plus Cut-Resistant Gloves are available in five sizes that should suit the hands of most users. Please measure the circumference of your hand around the knuckles (excluding the thumb) with your hand open and your fingers together, and the length of your hand from the tip of your middle finger to your wrist.